During the Rating process, the plugin will determine an efficient fit for using the optimal sizes and numbers of boxes to submit to Canada Post for shipping and delivery date estimates. 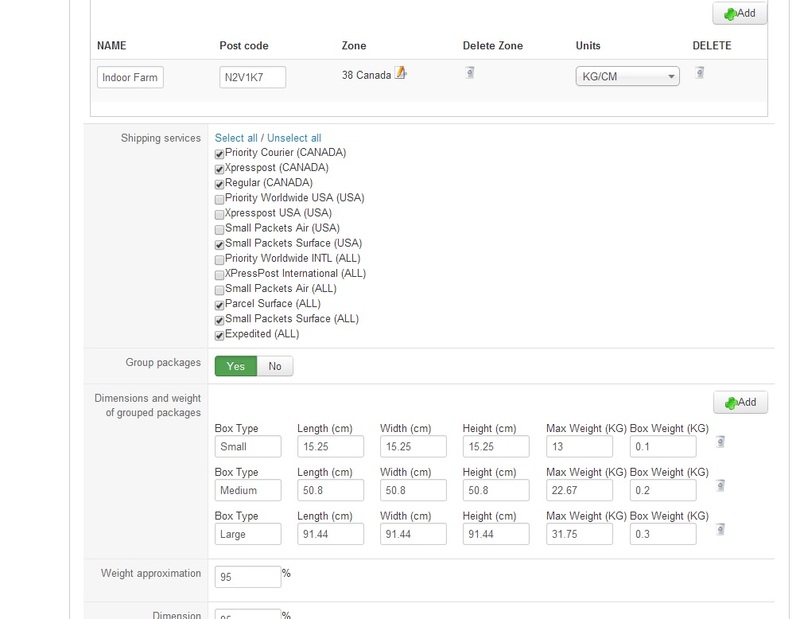 3D Bin Packing math is a feature in the plugin that will take all your product weights and dimensions into account when requesting a quote from Canada Post' service. 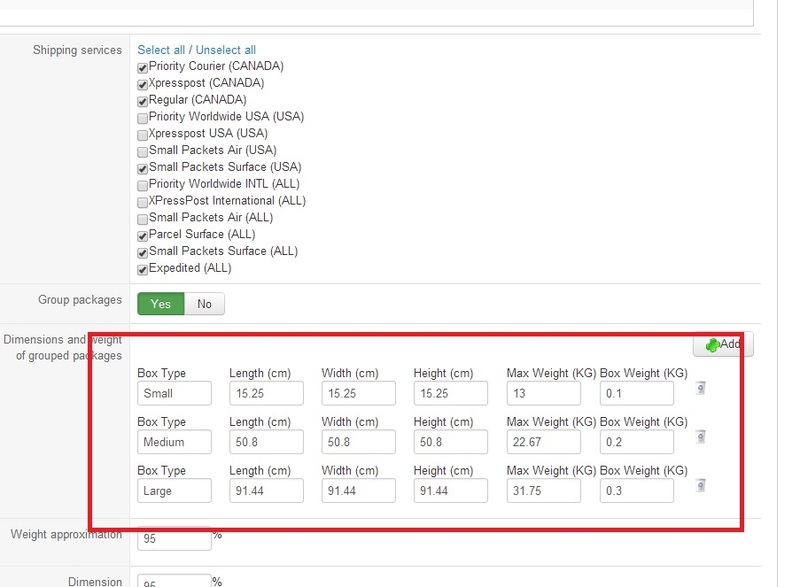 This allows you to configure the shipping plugin with the various sizes, weights and weight limits your store's packing/shipping boxes or crates. The plugin will find an optimal layout for the products using the smallest number and sizeof shipping boxes. It will then use those values and weights to request shipping estimates from Canada Post, it can give a much closer shipping estimate to the actual shipping price. Max Weight: Maximum weight of a shipment using that type of box. Canada Post has maximum weights for various packing material sizes.